I love marinara sauces. I recently made one using roasted fresh tomatoes with white wine and it was just delicious. You can find that recipe here. It is one of the most popular recipes on my website and gets hundreds of views every day. Today’s recipe is a modification of the basic sauce. 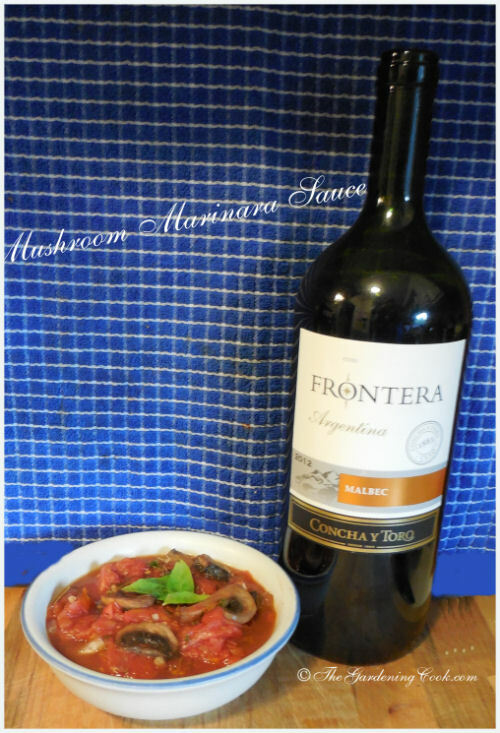 It is a homemade mushroom marinara sauce. 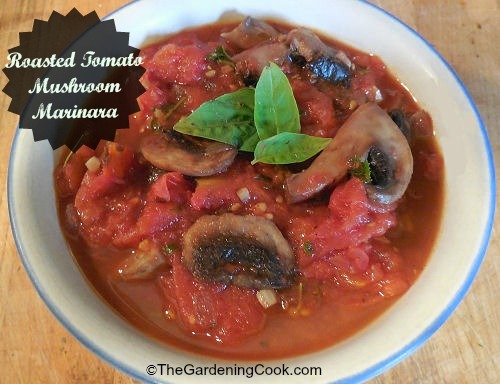 For this marinara sauce recipe, I did the same thing as before. I started with freshly roasted tomatoes. If you have not made sauces with roasted tomatoes, you are in for a treat! They make the most delicious sauce imaginable. 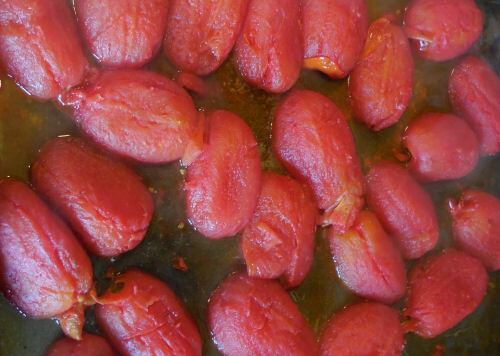 See how to roast tomatoes in this article. I started with peeled roasted tomatoes. 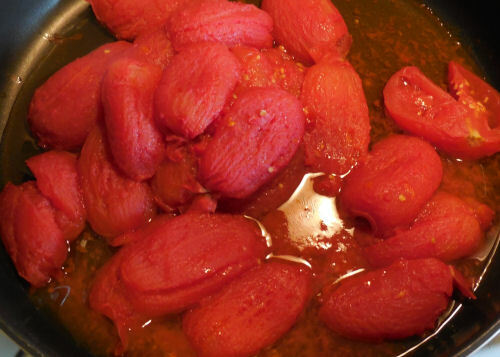 Yes, you can used canned but roasting tomatoes is easy and takes no time or effort so why not try it this way? 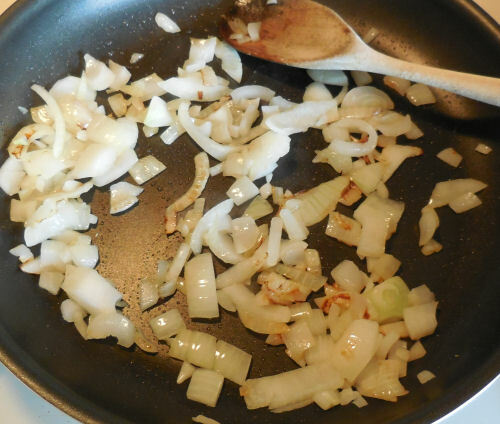 Next I sauteed onions and garlic in olive oil until they were translucent. 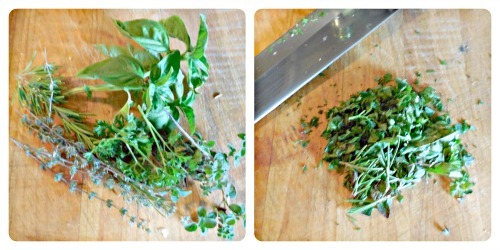 I used parsley, rosemary, thyme, oregano and basil for my fresh herbs this time. They ended up being about 2 tbsp when chopped. Any good quality red wine will do. 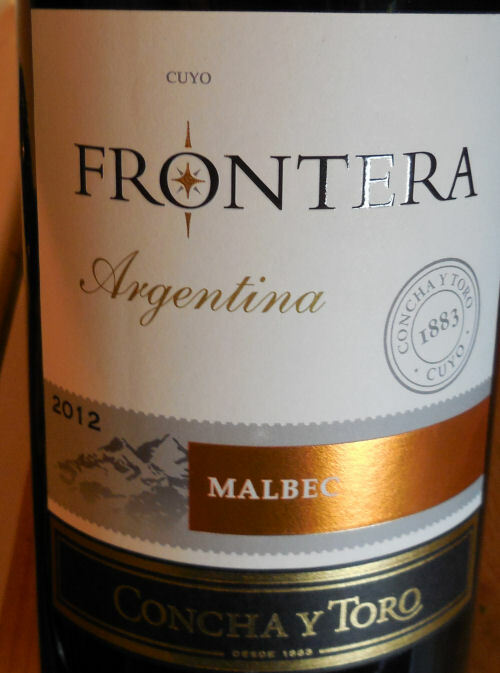 I used an Argentinian Malbec today. I wanted a red wine because reds go so well with mushrooms in a recipe. 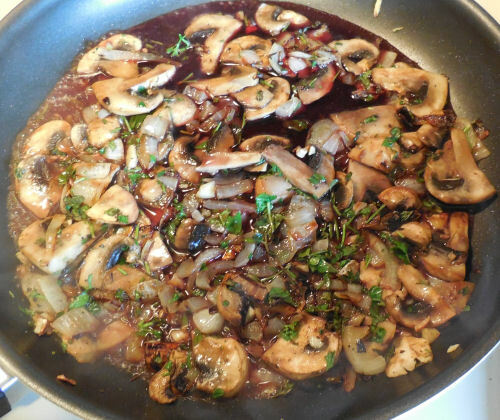 The wine is added to the mushrooms and onions and then simmered for a bit to release the flavor or the wine to the sauce. My lovely roasted tomatoes go in next. Simmer for about an hour or longer. The flavor improves with cooking time. So tasty and ready to add to any recipes you choose. Today, I used the sauce for an Italian Sausage and Peppers dish with noodles. It was delish! 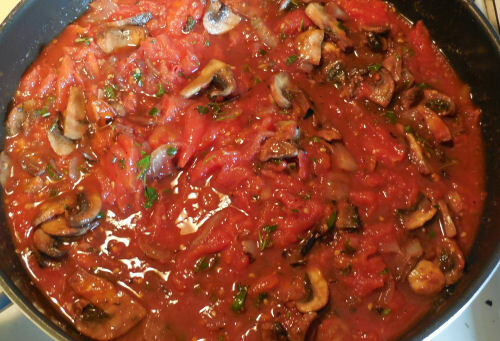 Freshly roasted mushrooms and red wine takes this marinara sauce to a whole new level. Heat the olive oil in a skillet over a medium high heat and cook the onion until translucent. Add the garlic and mushrooms and continue cooking until the mushrooms are tender. Stir in the red wine and fresh herbs and simmer to release the flavor of the wine for about 5 minutes. Use as a base for your favorite Italian recipe.